In a world in which water is used almost in every production process, even water conservation can be associated with some water use, making the conservation solution and its sustainability questionable. 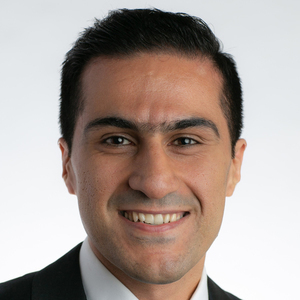 As an Environmental Scientist with Mechanical Engineering background, I am naturally interested in aspects of interactions among humans, their technologies and the environment. These interactions become more evident under extreme hydroclimatic events. California’s major drought (2011-2017) is an example that recently sparked interest in employing technology to protect Los Angeles water supply. 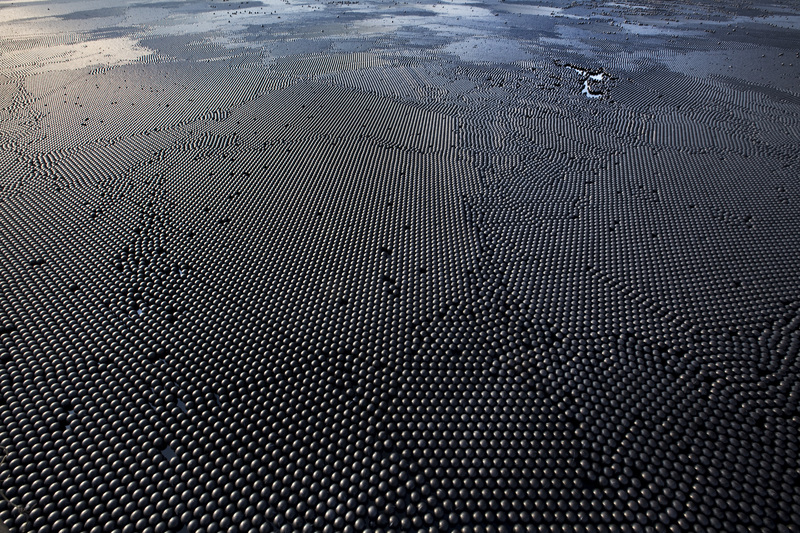 More than 96 million black plastic balls (termed shade balls) were released into the Los Angeles reservoir in Sylmar, California (August 2015) to maintain good water quality and prevent up to 300 million gallons (1.15 million cubic meters) of water from evaporating each year. Nonetheless, this engineering achievement to secure local municipal water demands, which received major media attention worldwide, may come at a price, with direct or indirect spatial impacts that would make the solution and its sustainability questionable. In particular, producing shade balls made of a kind of plastic is not only associated with carbon and pollution, but also takes some water. So, one needs to ensure if the balls were deployed on the reservoir long enough for their water consumption to be balanced by the suppressed evaporative losses. Otherwise, saving one drop of water in Los Angeles would mean consuming more than one drop of water in other parts of the US or the globe that might make this remedy unintelligent and unfair. Shad balls made of high-density polyethylene plastic were deployed on the Los Angeles reservoir to maintain good water quality and protect against evaporation. Photo Credit: Gerd Ludwig/National Geographic Creative. The journey leading to this study started with a fruitful and stimulating discussion with Prof. Kaveh Madani of Imperial College London at the American Geophysical Union Fall Meeting in San Francisco in 2016, where he shared his concerns about the water footprint of water conservation. Our motivation was to understand how substantial the water footprint of shade balls can potentially be, and to exemplify the need for integrated sustainability assessment analysis prior to employing quick technologic fixes to wicked water resources problems. Later, Prof. Arjen Hoekstra of University of Twente decided to join us and contribute to this study. Thanks to the available life cycle assessment reports, we first determined the required energy (i.e., crude oil, natural gas and electricity) for producing high-density polyethylene (HDPE) plastic, which the shade balls are made of. The water footprint of the shade balls was then calculated by considering the water use of its energy components. We managed to calculate the total volume of water consumed for covering the reservoir with HDPE shade balls of different thicknesses. Finally, we compared the reduced evaporation, i.e. the amount of water saved, through using shade balls of different sizes with the amount of water used for their production, to find out the water payback period of the shade balls under different scenarios. Our results reveal that an estimated water saving of 1.7 million cubic meters during the 1.5-year period of balls on the reservoir under drought conditions (August 2015-March 2017) would come at the cost of consuming 1.0 to 2.9 million cubic meters of water for producing 96 million HDPE balls of a range of practical thicknesses (1 to 5 mm). Continued presence of the balls outside the dry period would ultimately help to achieve a (noticeable) positive net water conservation. However, maintaining the constant water-saving rate of 1.15 million cubic meters per year (estimated in August 2015) would be a challenge during wetter periods where the balls’ efficiency is expected to drop by decreasing temperature and increasing humidity. This would ultimately result in extended water payback periods that may not be worth the other potentially negative effects of the balls on the water, such as affecting life in the reservoir and/or indirectly promoting bacterial growth by creating a warm thin layer of air next to the surface (the so called thermal blanket effect). It is worth noting that the dependency of covers’ efficiency on meteorological variables can even question the estimate of 1.7 million cubic meters of water saved during the “latter part of the drought” when the climate was gradually becoming less dry, potentially worsening the water balance. Overall, our findings underline the fact that the environmental cost of the shade balls should be considered together with their benefits and that such technologic solutions should be more carefully motivated especially for short-term climate conditions where water storage is needed. It is important to recognize that the problem can get even more complicated by considering other significant environmental impacts of the shade balls from a life cycle perspective. These include effects such as carbon footprint (in production and transportation), water quality (e.g., water polluted for producing HDPE balls or bacterial growth in the reservoir promoted by the thermal blanket effect) and ecology and life in the reservoir (e.g., changes in water temperature, light penetration and oxygen transfer).